Visit the clarinet care kits shop. 10 Arias Transcribed for Solo Instrument and Piano. By Giacomo Puccini. Classical. Book and CD package. Size 9x12 inches. 40 pages. Published by Ricordi. Soloist: John Cipolla, clarinet; Ensemble: piano accompaniment. For Clarinet in B-flat. Instrumental Solo Part and 4 CDs. Published by Music Minus One. Composed by Howard Shore, edited by Bill Gallifor, Jeannette DeLisa. For clarinet solo. Includes clarinet solo book and accompaniment CD. With standard notation. Movies. 28 pages. 9x12 inches. Published by Warner Brothers. 10 Selected Solos with Piano Accompaniment. Arranged by Philip Sparke. Anglo Music Press Play-Along. Play along. Book and CD. Anglo Music Press #AMP262400. Published by Anglo Music Press (HL.44010784). Musiques de films and comédies musicales / Partition CD inclus / Include Backing Tracks CD 25 titles from `100 Movie`. Jazz / Partition CD inclus / Include Backing Tracks CD 25 titles from `100 Standards`. 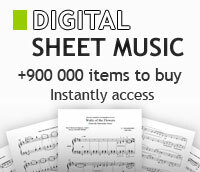 Good deals news for your instrument ! Your email : Une valeur est requise.Email not valid.